When it’s time to choose a builder for your new modular home, you need a partner you can count on. You are undertaking one of the biggest investments of your life. In Florida, we can customize a home plan to meet your needs. You can choose your colors, move walls, enlarge spaces, and turn the floor plan into the home of your dreams. Express Modular is the only nationwide builder of modular homes in the U.S. Let us put our size, our experience, and our strength to work for you. Our team is ready to assist you in the planning, designing, and building of your new home. Modern modular construction gives you the advantages of indoor factory precision. Almost everything purchased at a store today is made in a factory. Your mobile phone, your TV, and your computer. Could you imagine buying a car that had been built outside? Of course you couldn’t! You just can’t match the quality and consistency that factory manufacturing delivers. You’ve probably never even stopped to think about it, but you are more likely to buy products that are made in a factory because you can be assured of their consistency and quality. Why would you think about your investment in a new home any differently? Construction indoors in a factory means that not only is your home protected from the rain and wind during construction but so are the materials needed to build it. Construction starts in a factory assembly line process. The modules that make up a modular home move to the tools at each station in the process. Skilled craftsmen work on your home and onsite inspection occur at each step. Not only for code compliance but also for quality assurance. Your home has to be built stronger to withstand delivery to your home site and being lifted by crane onto the foundation. 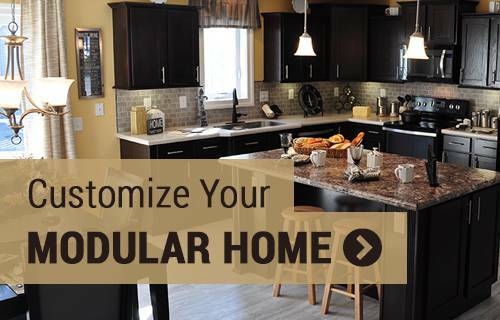 Your modular home is comfortable, energy efficient, and beautiful. Best of all, it was built at a value that can’t be beat! Solid surface kitchen countertops, tall kitchen cabinets, dramatic ceiling finishes, tile bathrooms and floors, and built in porches make modular homes a great option when building a new home. Great exterior designs provide fantastic curb appeal that can match any other home in the neighborhood. When it’s time to build your new home, contact the team at Express Modular to begin planning and design. As the destination for millions every year Florida is a diverse state. Orlando, FL is the destination for millions. Disney World sees over 17 million visitors pass through its gates every year. As a retirement mecca, seniors flee the north and come to Florida to enjoy the warm temperatures and miles of coastline. With shores on both the Atlantic Ocean and the Gulf of Mexico, Florida only ranks second to Alaska with miles of coastline. Interested in building in Florida? We have an extensive selection of modular home plans and a consultant for your area who is waiting to help you with every detail along the way. Let's get started! Florida Certified Building Contractor – CBC1260535 – Express Modular, Inc.